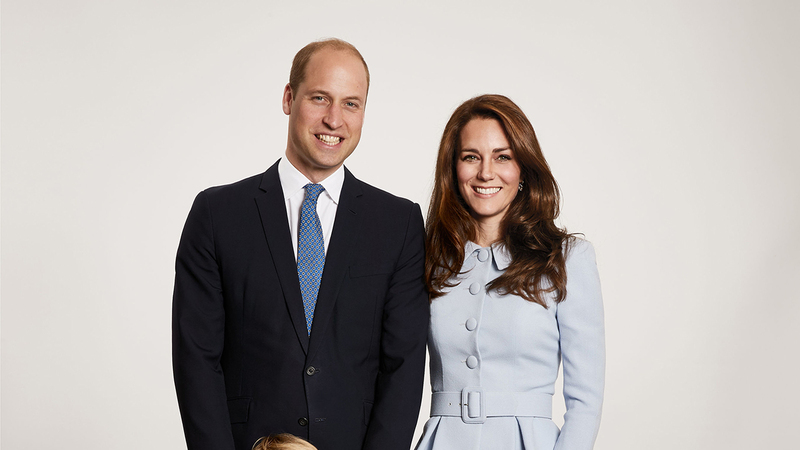 Kensington Palace has shared a new family photo of Prince William and Duchess Kate along with their children Prince George and Princess Charlotte that was used on this year's Christmas card. "The Duke and Duchess of Cambridge are pleased to share a new photograph of their family. The image features on Their Royal Highnesses' Christmas card this year," the palace tweeted Monday. "The photograph was taken earlier this year by @ChrisJack_Getty at Kensington Palace." In the photo, the royals coordinate by donning various shades of light blue. This time next year, they will be a family of five. Kensington Palace announced in October that Will and Kate were expecting a baby due in April. The new year has many significant moments for the royal family. In addition to the new sibling for George and Charlotte, Prince Harry, their uncle, will be getting married. He and American actress Meghan Markle will tie the knot on May 19 at Windsor Castle.